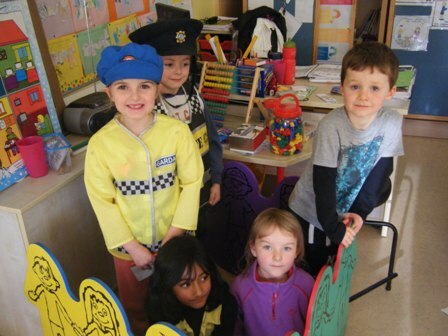 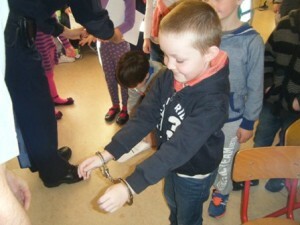 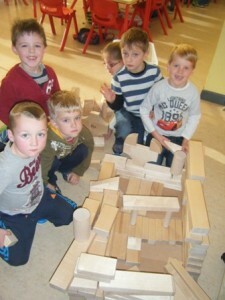 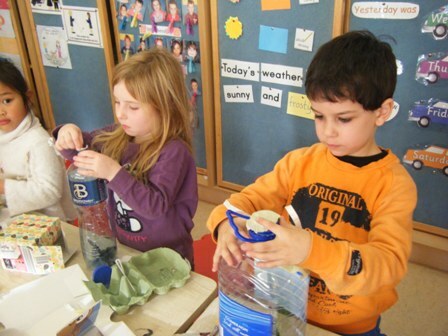 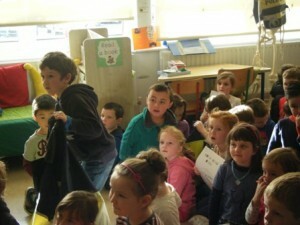 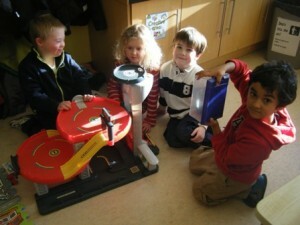 Two local Gardaí from Gorey came to visit both Senior Infant classes and told us a lot about the work that they do. 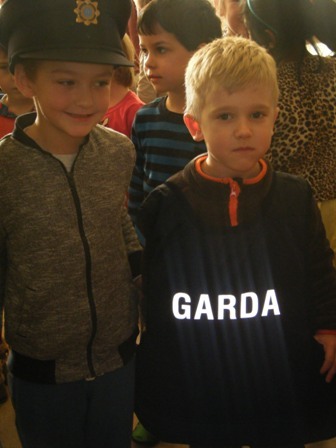 We were very lucky and got the chance to try on the Garda vest, their Garda hat and real handcuffs!!! 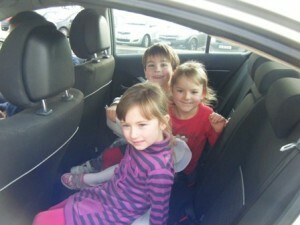 We also got to sit in the Garda car and turn on the sirens and flashing lights. 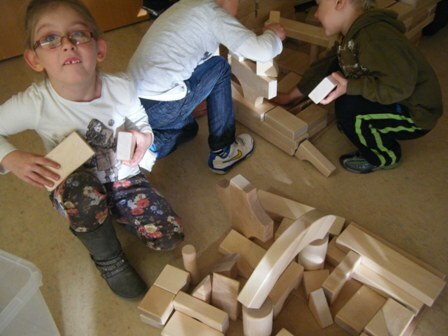 It was really cool. 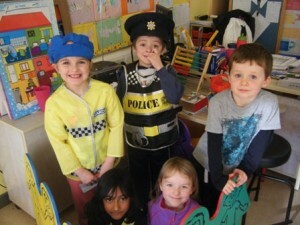 We also had lots of fun dressing up as a Garda and Bangarda ourselves during our playtime.